I was meeting with Kathy when this came through and we worked with the Cherubim and Seraphim to fully connect with the Ascended Sun and heal / release our phase 1 & 2 ego's. Tomorrow at 12 noon GMT there will be a shift in consciousness, which brings into the light the truth surrounding the mysteries of the activation required for this iteration of humanity to commence this phase of ascension. Light workers who have worked to love their 3rd dimensional ego and to embrace the challenges it has presented, and who now understand that for their human self to evolve the ego has to be freed to embrace the Divine I AM Light, will be able to experience the transcendence of the ego. The ego will be blessed, forgiven and thanked for the work it has done to keep us safe during phases 1 and 2 of ascension. Its job is done. From this point forth the ego now resides in the 4th dimensional energy of self-love and every decision made by these transcendent humans will now come from their higher self. The activation codex of Divinely timed light messages will start to be given to these illuminated light workers. Everyone will start to get their messages and little by little you will be able to piece together how your Divine light shines within the oneness. It is truly the most important time for humans since the Golden Age of Atlantis, as tomorrow the Third phase of preparation for the New Golden Age begins. This phase is that of Global Consciousness for those who can ascend their human light to flow symbiotically with their higher self. You are guided to work with the Ascended Sun to allow any remaining elements of the human 3rd dimensional ego to be understood, acknowledged, addressed and for this human phase of existence for it to be loved and thanked. The Ascended Sun is the perfect pitch of frequency within each humans' heart that allows the transcendent process between phases to manifest in the human self. Call in the Cherubs and the Seraphim to guide you to the Ascended Sun and ask them to sing your vibration to the ascended sun for it to welcome you and allow your human heart to connect to the sacred heart and the healing and transcendence to begin. The Ascended sun is the core of Mother Father God's heart and dissolves all resistance. There are eight more phases of ascension to be achieved and these will be brought to us in Divine timing. 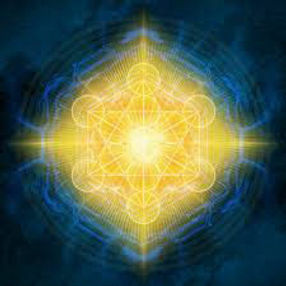 Embodying the Divine Light and the activation codex messages that will be given to you is the focus of this phase. It will be delightful for you as you will no longer be driven by ego need to get information immediately and to compete with each other. Instead the messages will be openly shared and your teachings will be globally taught. I am the Lady of the Light.